Thomas and I have been really sick with flu for the last month, David also got it but not as bad as he's had the vaccine. Next time I'm at the G.P. I'll be getting a flu vaccine, having the flu with a sick baby is Not Fun! 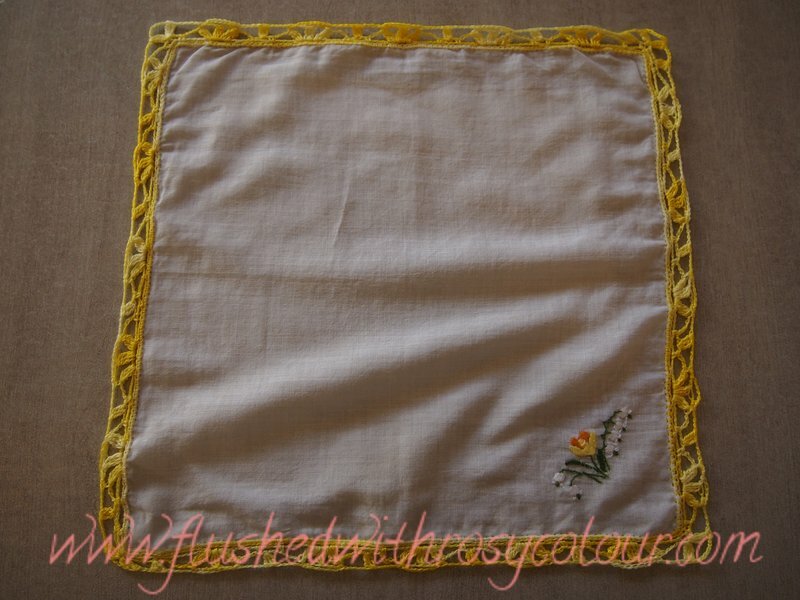 I'd misplaced this handkerchief and thought it had been thrown out because it's white, it might have been mistaken for a tissue. 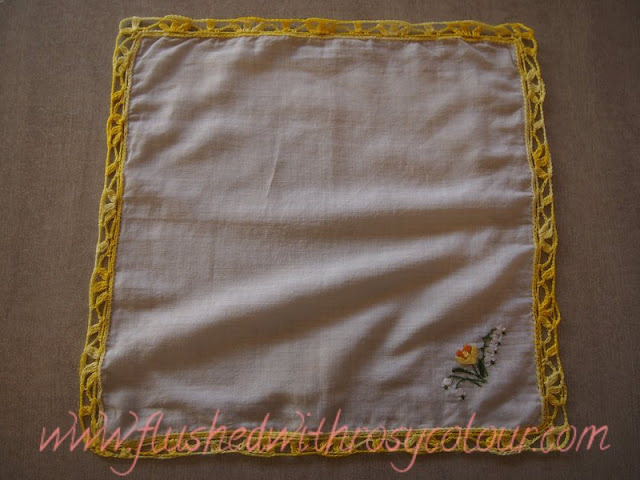 When I found it yesterday I decided to have a go at edging it so it will be less easy to loose. 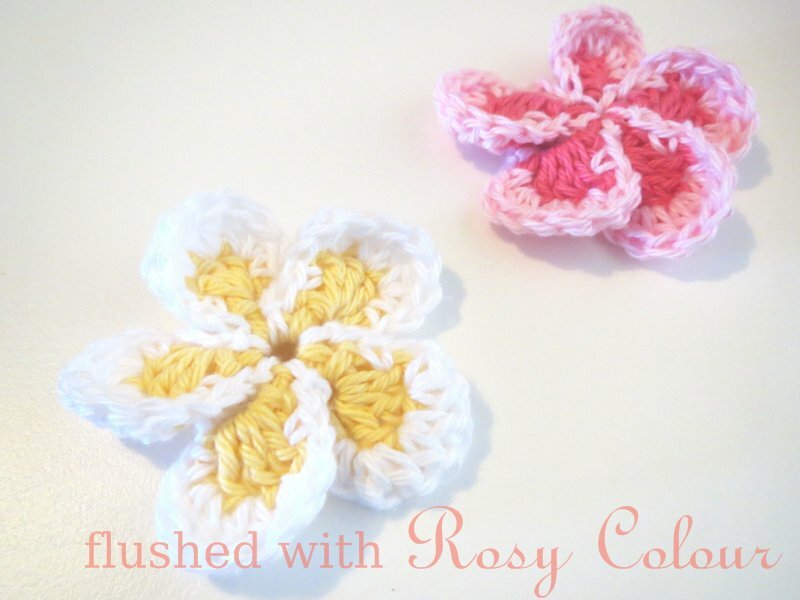 I used the petal edge pattern on page 87 of "Crocheting on the edge" by Nicky Epstein, and a 1.5mm hook and yellow cotton my mother gave me. For the 1st round I used my .75mm hook, I took one evening and a bit of a morning to complete this. I'm not really thrilled with how it turned out, but I don't have a lot of time for something as frivolous as this, so this will have to do! I think it came out tight perhaps because my tension didn't match the gauge. It was a good exercise none the less, to learn something new. 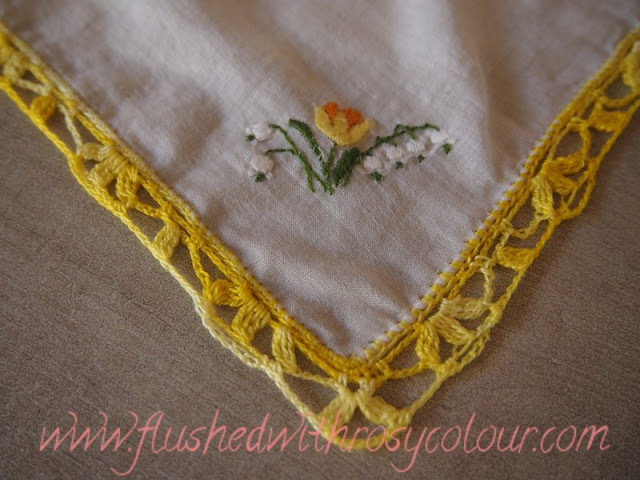 But next time I edge a handkerchief, I think I will try a more simple stitch.